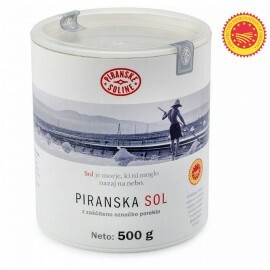 Piran salt is one of the most prominent in the world, as it is cultivated according to the method of more than 700 years ago. 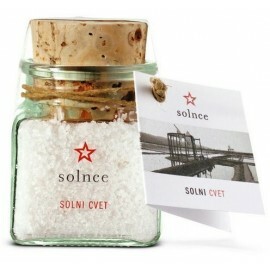 Their speciality is that the salt pan workers cultivate petola at the bottom of the crystallization ponds. 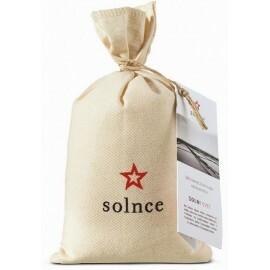 This is a biosediment which prevents the sea mud merging with the salt and gives the salt numerous microelements and minerals necessary for the human organism. 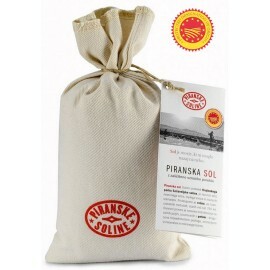 Piran Salt Pans There are 9 products. 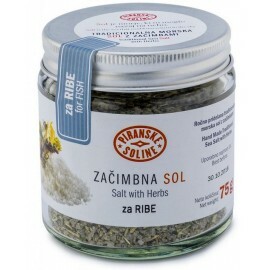 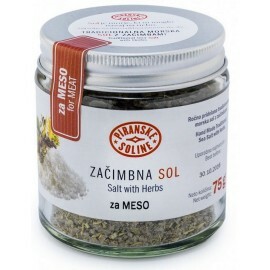 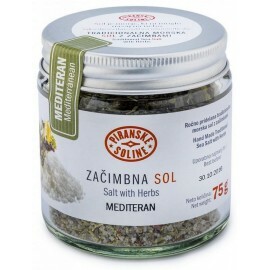 Piran Salt Flower - Fleur de Sel (70g), traditional sea salt with Mediterranean herbs (75g), little wooden spoon, packed in a red gift box with the saltpan motif. 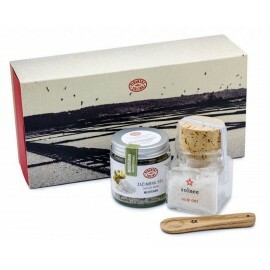 Piran Salt Flower - Fleur de Sel (70g), traditional sea salt with Mediterranean herbs (75g), little wooden spoon, packed in a red gift box with the saltpan motif.